Today, we have a sponsor feature from Busy Momma's Hair Effects, a new sponsor this month. As soon as I saw these beautiful beaded hair accessories, they reminded me of the gorgeous post-Edwardian era hair styles in Downton Abbey. Lilla Rose started as a small family owned business, making and selling beaded hair accessories to pay the bills like many etsy sellers and crafters. Now, 20 years later, Lilla Rose has sold millions of pieces and opened their business to consultants for opportunities to sell Lilla Rose products on their own websites and parties, similar to Avon and Mary Kay. One of my new sponsors, Jennifer McCann is a Lilla Rose consultant with her business, Busy Momma's Hair Effects Check out the hair styling videos on how these accessories work. 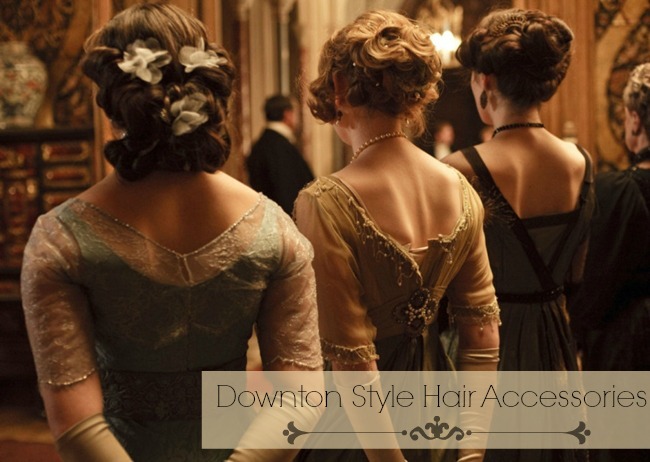 Read on for inspiration and ideas for how to created Downton Abbey inspired hair styles. 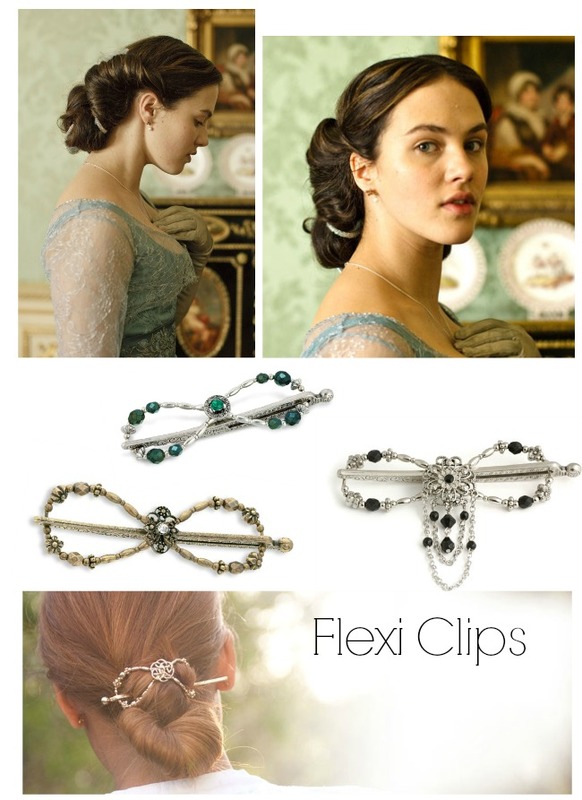 Create a Lady Sybil inspired twisted updo with easy-to-use flexi-clips, which come in a variety of sizes. 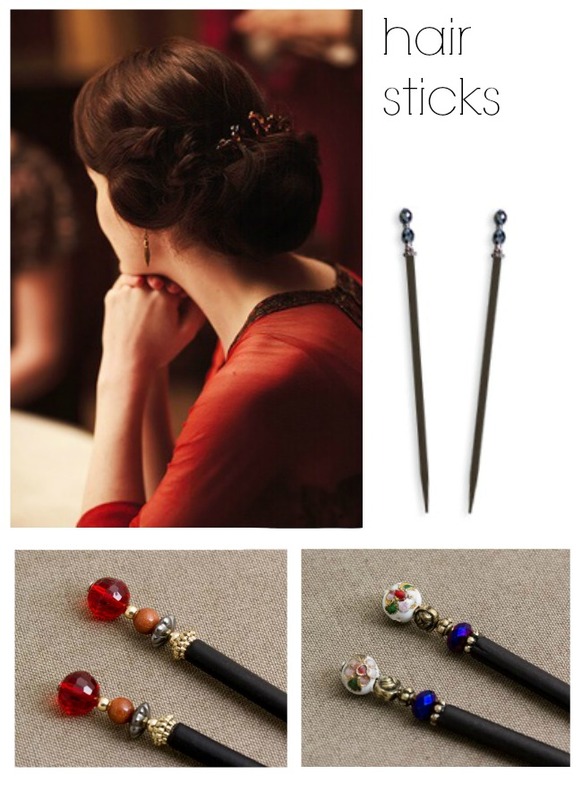 Pull hair back in a low chignon and add sparkle with a few beaded hair sticks like Lady Mary's classic look. 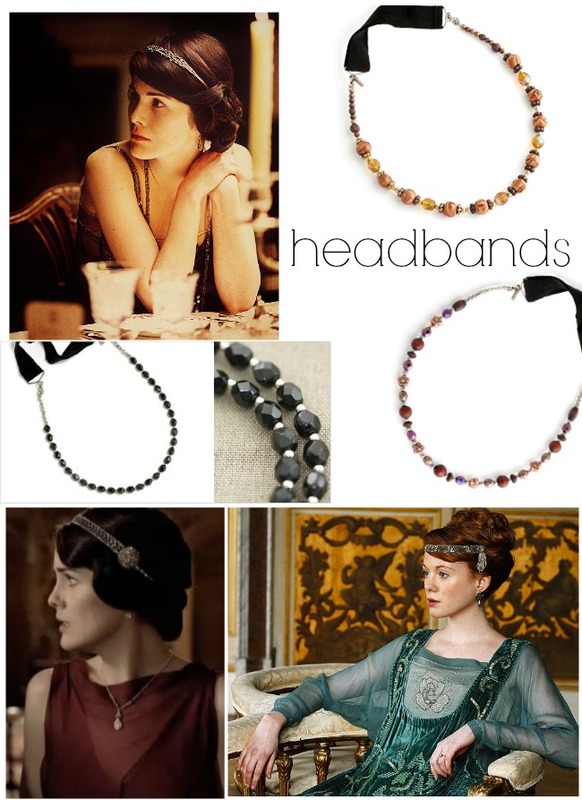 Beaded hairbands were all the rage in the time of Downton. Layer these beaded bands or wear two criss-crossed for a Grecian look. My word, what immensely lovely accessories. 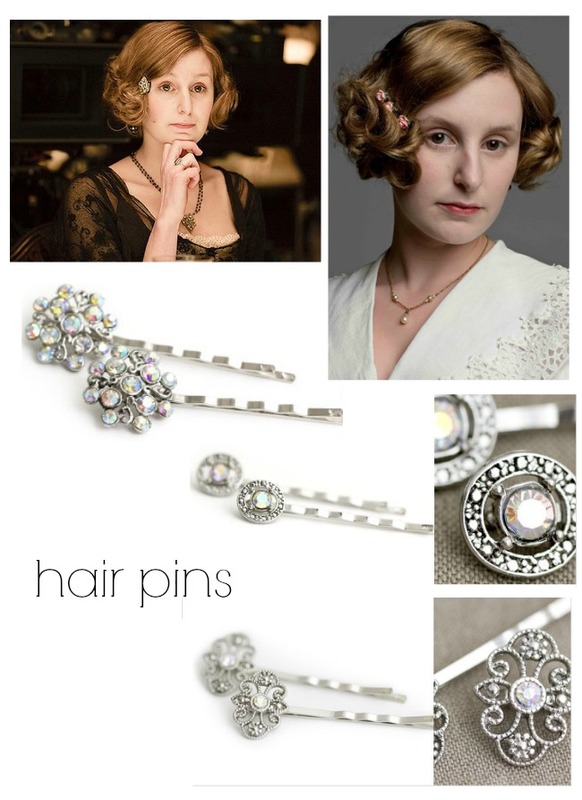 I am particularly drawn to the flexi-clips - they smack of the Edwardian era, but also channel a gorgeous bit of a Renaissance vibe. I love this era for hair styles! And those hair accessories are beautiful. Love the hairsticks! Make me want to grow out my hair. Beautiful. Have been looking at something similar recently however need more volume in my hair! Each and every one are beautiful!